Just chilling and watching Loose Women before I go to uni for Aesthetic Prose in an hour or so. Last week of uni before a week off! WOooo00o0OO!!! A pretty lazy outfit today but I kind of like it's simplicity and slobbish-ness. 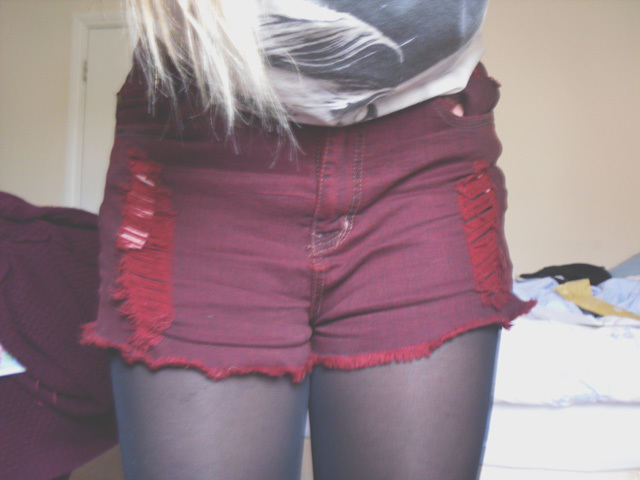 These shorts caught my eye as soon as I walked past them on the mannequin. I love the wine colour which seems to be popular in denim at the moment (I have a pair of skinnies in a similar tone), and the fraying on these gives them a little edge. I particularly like how you can see the pockets behind the rips! Grungerrrr. 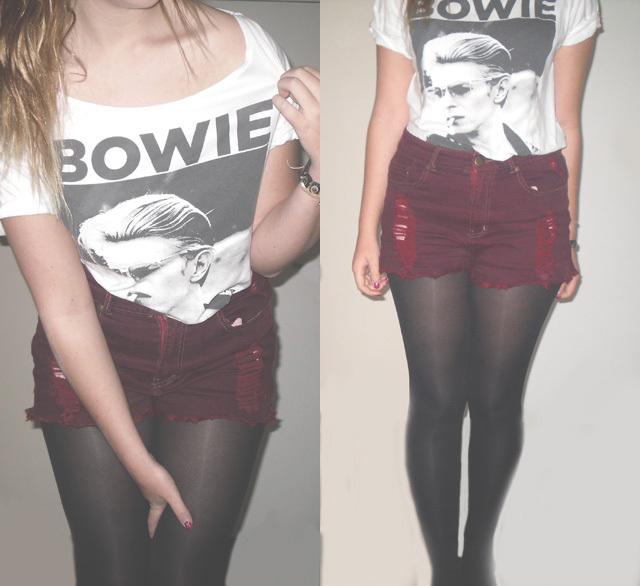 The tee is kinda old now but a bit of Bowie never hurt nobaaaady. Currently spending my life fretting over my terrible excuse for a hair. No particular shape, no particular colour, no particular ANYTHING, I HAAAATE ITTTT. I think number 1 on my Christmas list will be a trip to the salon to get it sorted out. I desperately want to go blonder as I think I suit a lighter colour more than a darker one, but I'm much more anxious about doing it myself than I was with the brown-from-a-box-dyes. I dont really like the type of blonde that's all one colour over the head and prefer it to have a multitonal look, which is incredibly hard to get right when you're DIYing. I guess I'll just have to play the waiting game. Dont forget to find me on Twitter and Bloglovin :) and check out my phonecases ! 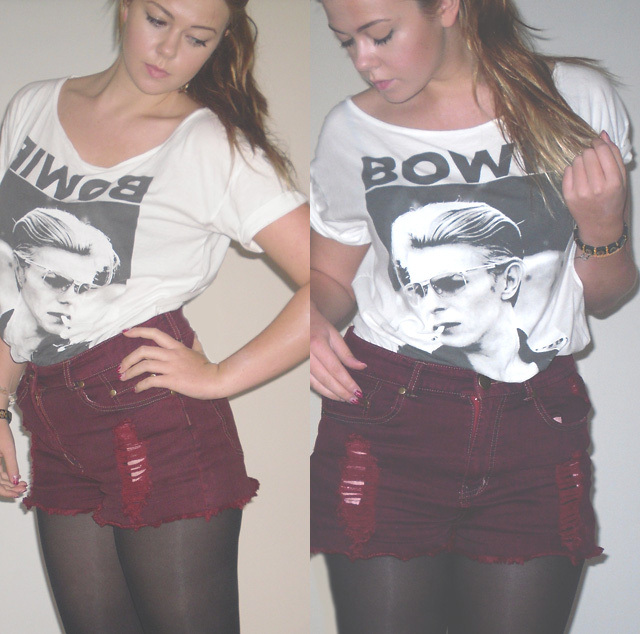 Great tee and shorts! The wine/berry sort of colour is becoming my favourite for this year! I need my hair trimming also, it's been a few months now! Also your halloween make-up in the rpevious post is fantastic! love this so much! Labyrinth is my fave childhood film...apart from David Bowies crotch ruins the film slightly haha! !